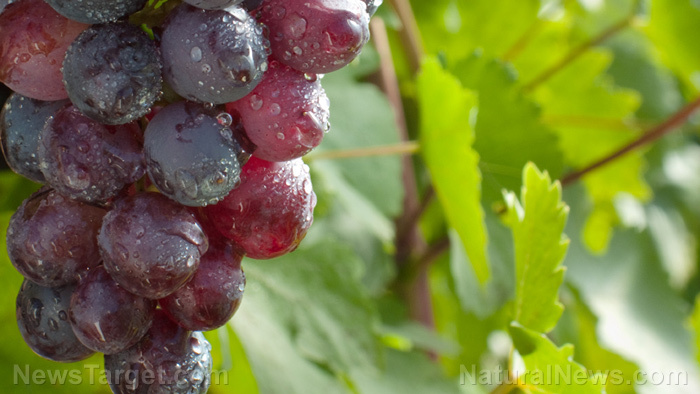 (Natural News) You’ve heard about how moderate amounts of red wine is good for the heart. Now, a new study says that red wine can be good for oral health as well. Compounds in red wine can reportedly keep bad bacteria from sticking to teeth and gums. This is the result of research published in the Journal of Agricultural and Food Chemistry. A group of scientists from the Madrid’s Research Institute in Food Sciences discovered that two polyphenols, caffeic acid and p-coumaric acid help prevent harmful oral bacteria from lodging in the mouth. The study also showed that pure phenolic compounds were better than red wine or grape seed extracts in preventing the growth of Porphyromanas gingivalis and Streptococus mutans, bacteria that cause phenolic compounds and dental caries, respectively. Maria Victoria Moreno-Arribas, the study’s senior author said the evidence points to the potential of polyphenols from grapes to prevent caries and periodontal diseases the natural way. She adds that these polyphenols can also be used in combination with traditional treatment of gingivitis and periodontal diseases. Before you uncork your bottle of red wine, however, the experts qualify that it is not wine, but polyphenols, that are preventing tooth decay and gum disease. “The findings do not support drinking red wine to stop people getting infections,” stated University of Glasgow professor Naveed Sattar. First, the amount of caffeic acid and p-coumaric acid used in the study are too low to have any effect on oral health. Second, the experiment required that polyphenol compounds and wine extracts remain in contact with bacteria for at least 24 hours (for S. mutans) or five days (For P. gingivalis). A person can’t take wine for 24 hour straight, much less for five days. People who imbibe wine for more than 24 hours run the risk of endangering their health from too much alcohol. Make it a habit to brush your teeth and floss regularly. Use a soft-bristled toothbrush that fits your mouth well and allows you to reach all the inner areas. Brush your teeth the right way. Position the brush at a 45-degree angle to your gums. Move the brush gently back and forth, using short strokes. Brush the outer, inner, and chewing surfaces of teeth. Clean the inner part of the front teeth by tilting the brush vertically and making up and down strokes. Visit your dentist regularly. He can warn you of impending gingivitis and save your gums and teeth before it’s too late. Quit smoking. It hampers circulation that promotes healthy gums. Smoking also leads to gingivitis. Eat a balanced diet with lots of vitamins and minerals for healthy gums. Avoid sugar that causes dental caries. Bacteria that lead to gum disease spread more easily when sugar is present. Choose sugar-free gum. If you’re too busy to brush after a meal, chew sugar-free sugar instead. It promotes saliva production and keeps tiny food particles that attract bacteria away from your mouth. Keep your toothbrush free from germs by storing them vertically. Don’t cover them after use because moisture from the toothbrush can spread germs in closed containers.